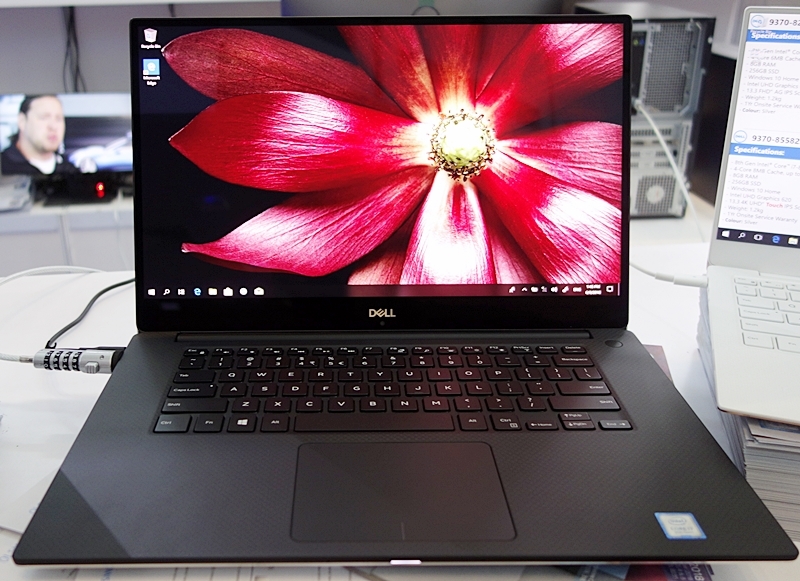 The 13.3-inch Dell XPS 13 (9370) sports an 8th generation Intel Core i7-8550U CPU, with 8GB of LPDDR3 RAM, and a 256GB SSD. 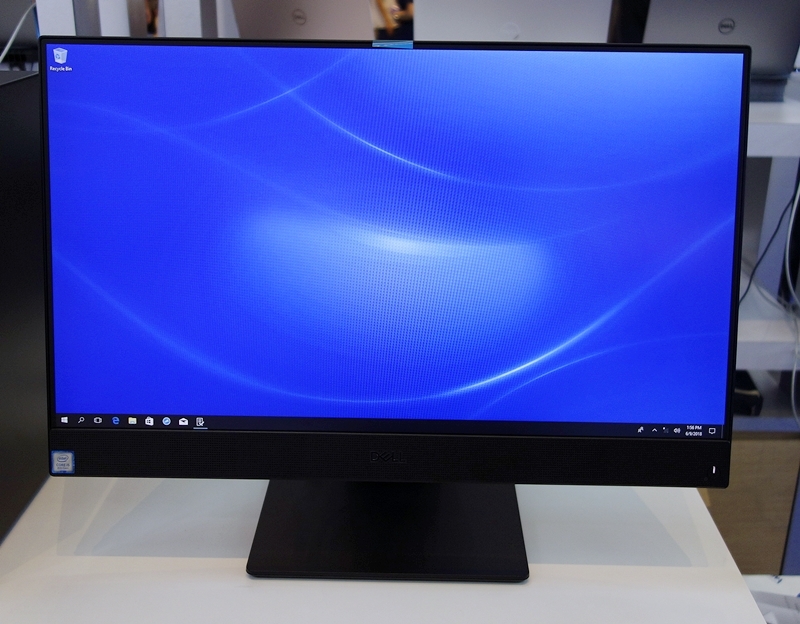 Its InfinityEdge UHD 4K display has bezels so thin that its webcam needs to be housed at the bottom bezel of its display. It sports a pair of Thunderbolt 3 ports, a USB-C port and a microSD card reader for your expansion needs. 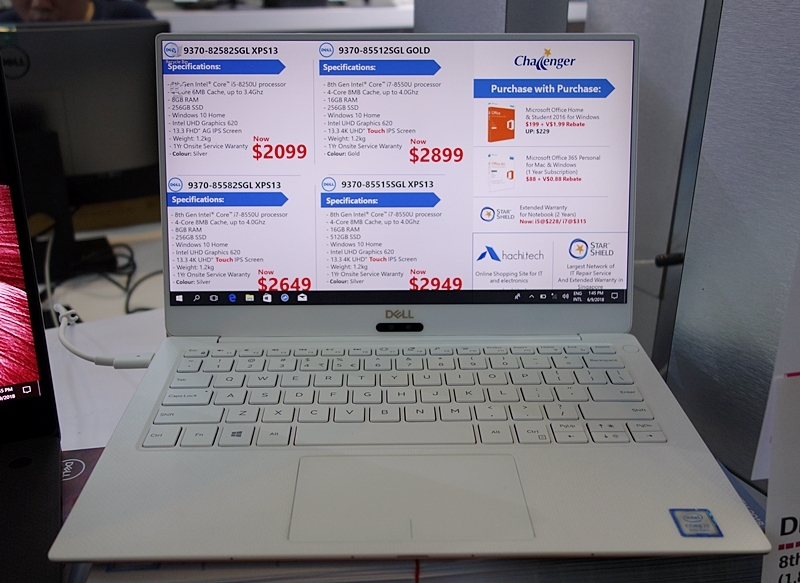 It retails at $2,649 as a show special and comes with a free Microsoft Office 365 subscription, a Dell premium sleeve and a Dell USB-C to VGA adapter. The Dell XPS 15 is a high-end notebook powered by the 8th-gen Intel Core i7-8750H CPU, 16GB DDR4 RAM, and a 512GB PCIe-based SSD. It features NVIDIA GeForce GTX 1050Ti graphics chipset with 4GB DDR5 VRAM and a 15.6-inch UHD 4K InfinityEdge display. It’s priced at $3,099! The Dell Inspiron 24 5000 AIO (5477) sports a 23.8-inch full HD touch-enabled IPS display with InfinityEdge feature. The system is powered by the current generation Intel Core i5-8400T CPU and 8GB of RAM. It sports an NVIDIA GeForce GeForce GTX 1050 chipset with 4GB GDDR5 graphics memory. Its SmartByte technology prioritizes bandwidth for interactive video streaming. The system is priced from $1,599 and comes bundled with a free Microsoft Office 365 subscription as a show special. 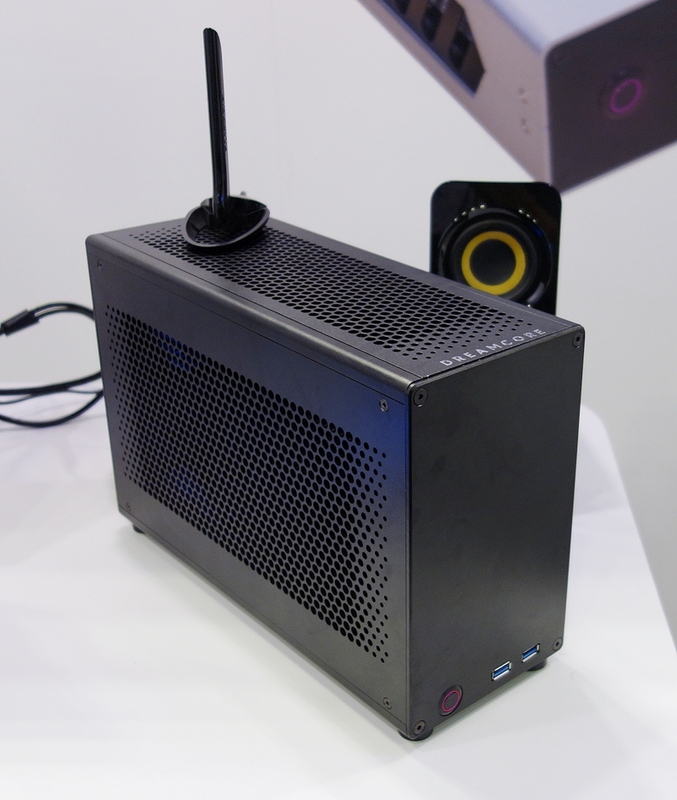 The Bullet is touted as Singapore’s smallest custom PC from local system builder Dreamcore. 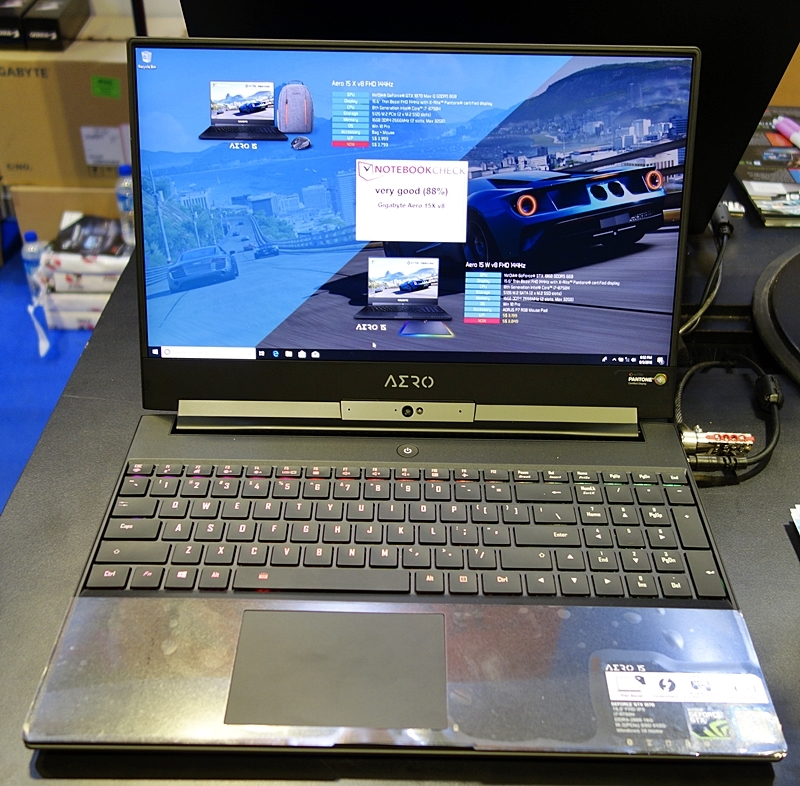 At its most basic configuration, the Bullet will feature an Intel Core i3-8100 CPU, 8GB DDR4 RAM and an NVIDIA GeForce 1050 graphics card. Storage needs are handled by a 120GB SSD and a 1TB HDD. It comes with 3-year warranty (first year onsite) and retails at $1,250 as a show price (U.P. $1,415). The Gigabyte Aero 15 laptop runs on the latest Intel Core i7-8750H CPU with 16GB DDR4 RAM. Its 15.6-inch UHD display has thin bezels and its storage is handled by a 512GB PCIe-based SSD. It is priced at $3,999 (U.P. $4,199) and if you opt for a full HD display, it’s priced at $3,799 (U.P. $3,999). 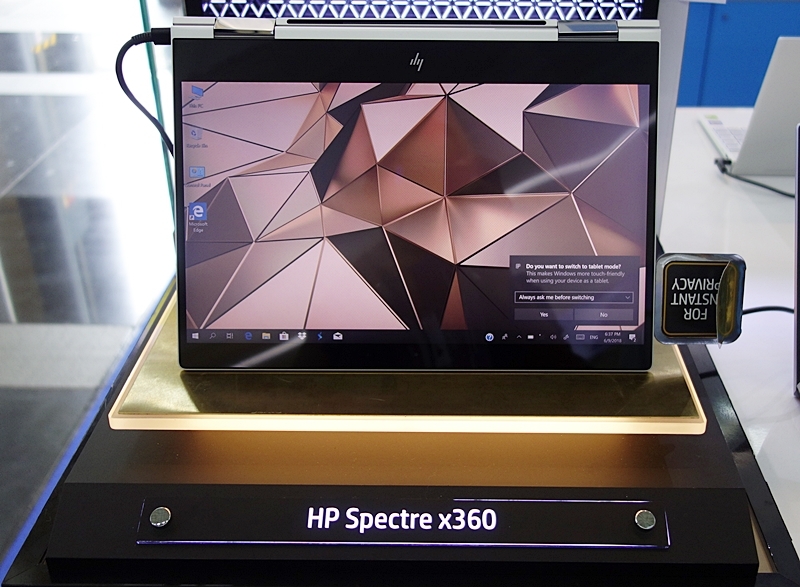 The HP Spectre x360 convertible notebook has a 13.3-inch full HD IPS display with HP Sure View Integrated Privacy Screen. Powered by an Intel Core -5-8250U CPU, 8GB LPDDR3 RAM, and a 512GB PCIe-based NVMe SSD, the device costs $2,399 and comes with a 2-year onsite warranty. 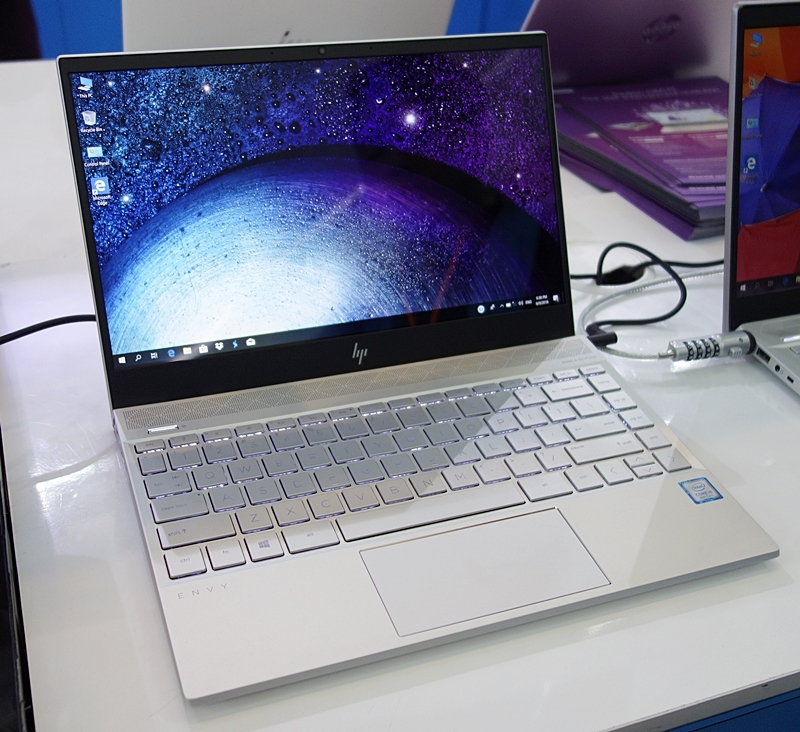 The HP Envy 13 is powered by the latest 8th Intel Core CPU. Its entry-level specs start with an Intel Core i5-8250U CPU, 8GB LPDDR3 RAM, and 360GB PCI-based NVMe SSD. Its 13.3-inch full HD IPS display has thin bezels for a immersive viewing experience. It is priced at $1,299 (U.P. $1,499) and comes with a free carrying case and McAfee anti-virus software. 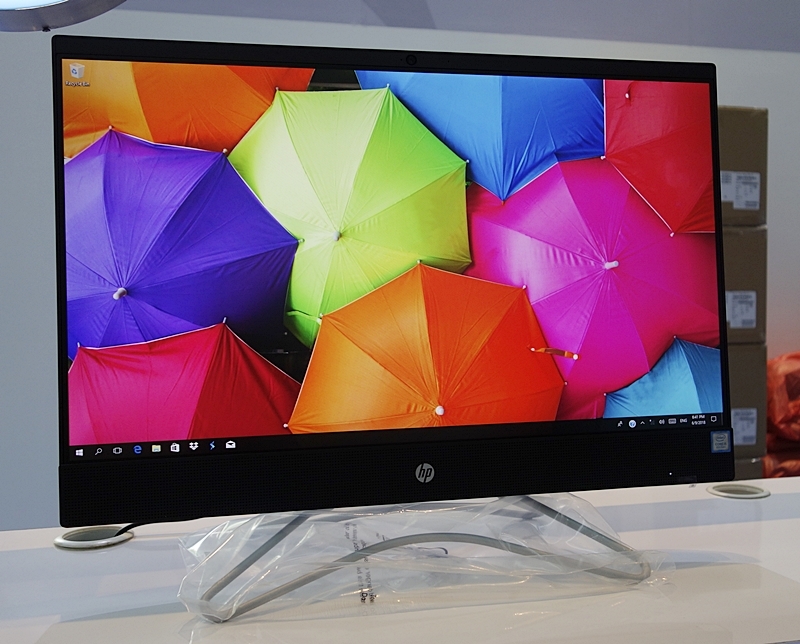 The HP Pavilion r153d AiO desktop PC has a clear plastic stand to hold up its 23.8-inch full HD IPS display. It runs on the 8th-gen Intel Core i5-8400T CPU, 8GB DDR4 RAM and has storage in the form of a 128GB SATA M.2 SSD and a 1TB HDD. It has an AMD Radeon 530 2GB DDR5 VRAM graphics chipset. It’s priced at $1,349 (U.P. $1,449). 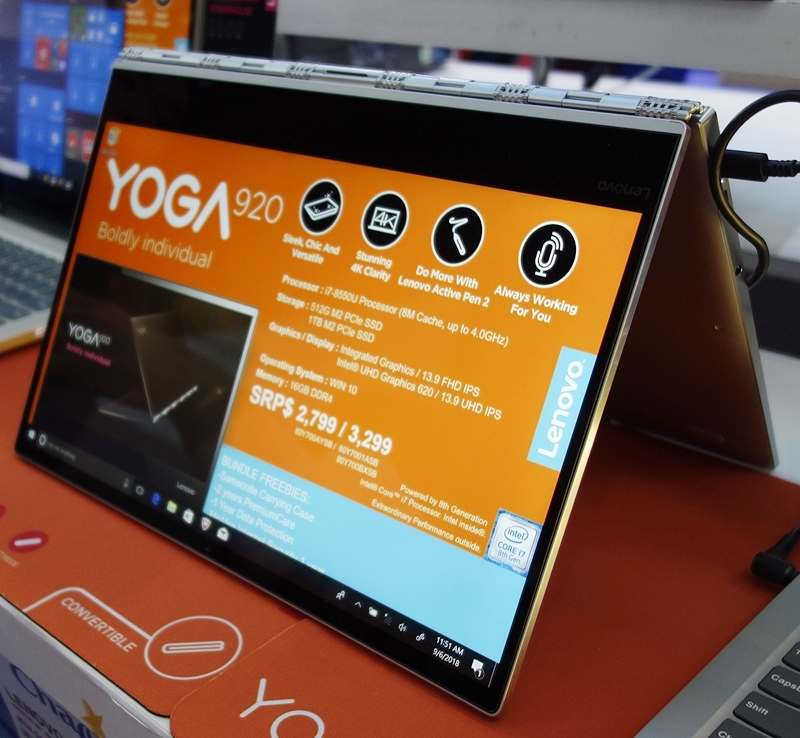 The Lenovo Yoga 920 features an Intel Core i7-8550U processor, 16GB of DDR4 RAM, and a 1TB PCIe SSD. The display is a 13.9-inch 3,840 x 2,160-pixel IPS touchscreen panel, so you should get really crisp images. The device is going for $2,899 (U.P. $3,299) and is backed by a 2-year Lenovo PremiumCare (on-site) warranty. The Lenovo IdeaPad 530s is powered by the latest Intel Core i5-8250U CPU, 8GB DDR4 RAM, and a 512GB M.2 PCIe-based SSD. Its 14-inch full HD display has anti-glare treatment and comes with a 2-year Lenovo PremiumCare (on-site) warranty. It’s priced at $1,299 (U.P. $1,449). You can opt for the variant that is runs on an Intel Core -7-8550U CPU with 16GB DDR4 RAM, which is priced at $1,649 (U.P. $1,799). Both variants feature the same discrete graphics chipset, i.e., NVIDIA GeForce MX150 2GB DDR5 VRAM. 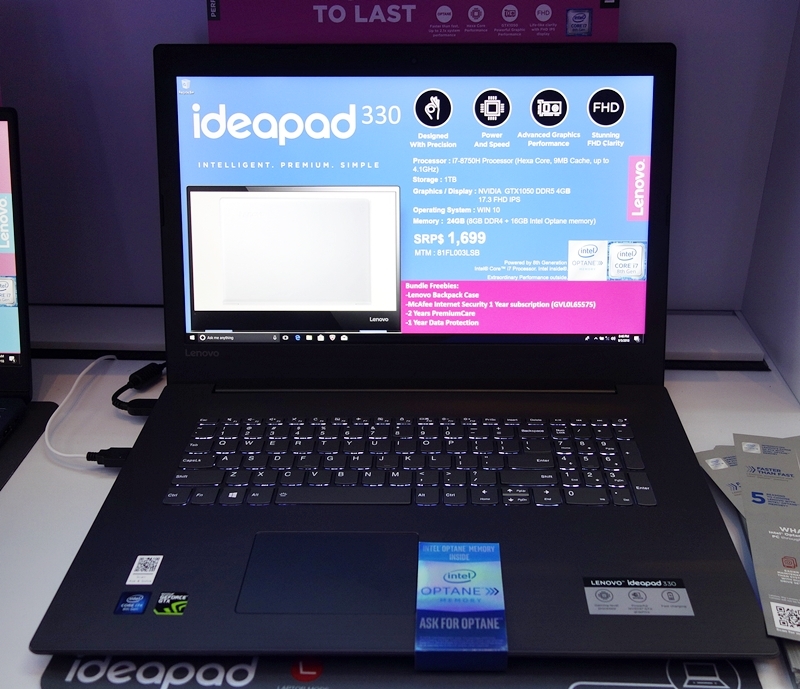 The Lenovo IdeaPad 330S runs the 8th-gen Intel Core i7-8550U CPU, 4GB DDR4 RAM, and comes pre-installed with a 16GB Intel Optane Memory module! It has a 1TB HDD and an AMD Radeon 540 graphics chipset. 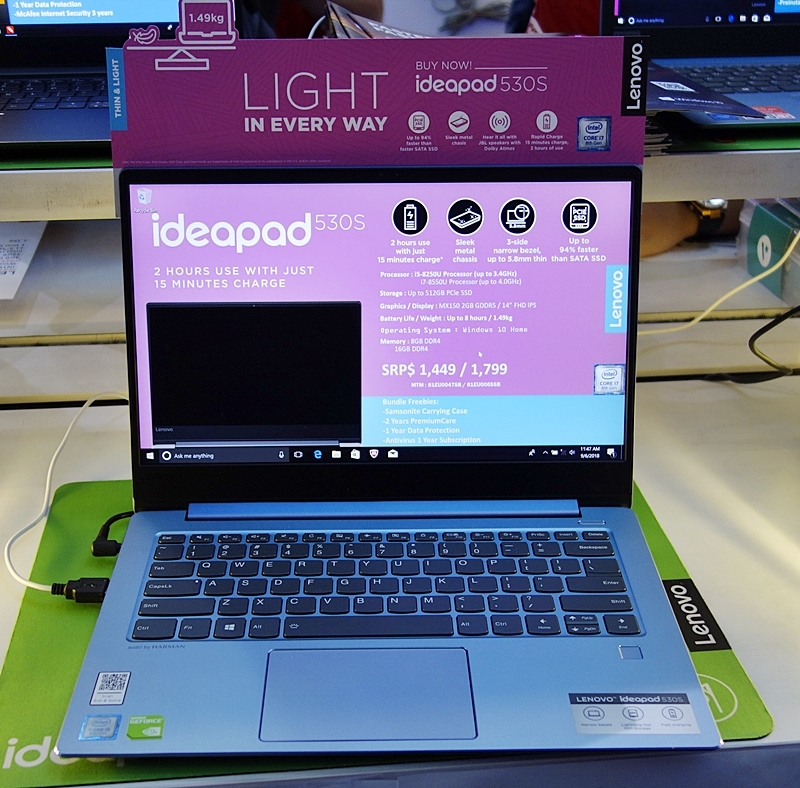 Its 14-inch full HD IPS display has anti-glare treatment and the device even has a backlit keyboard for working in the dark. It’s priced at $1,099 (U.P. $1,299) and comes with a 2-year Lenovo PremiumCare (on-site) warranty.